I ran into a mom at the farmers market yesterday and we had the most interesting chat about her toddler's food preferences. She told me her daughter had little interest in eating and it had become a real struggle for her especially based on the fact that she’s a real foodie. When you love cooking and eating it’s especially frustrating to have a little one who has no interest in your favorite pass time. She had recently started cooking from the Weelicious Cookbook as she told me and was having solid success. Two thumbs up! As she listed off the recipes her daughter was enjoying most I realized the one common denominator_ all foods that are soft and easy to chew. Especially when toddlers have new teeth coming in, soft foods are essential. You want to try to get as much nutrition as possible in every bite. As we chatted away surrounded by bountiful fruits and vegetables I suggested she make these pancakes filled with green vegetables. 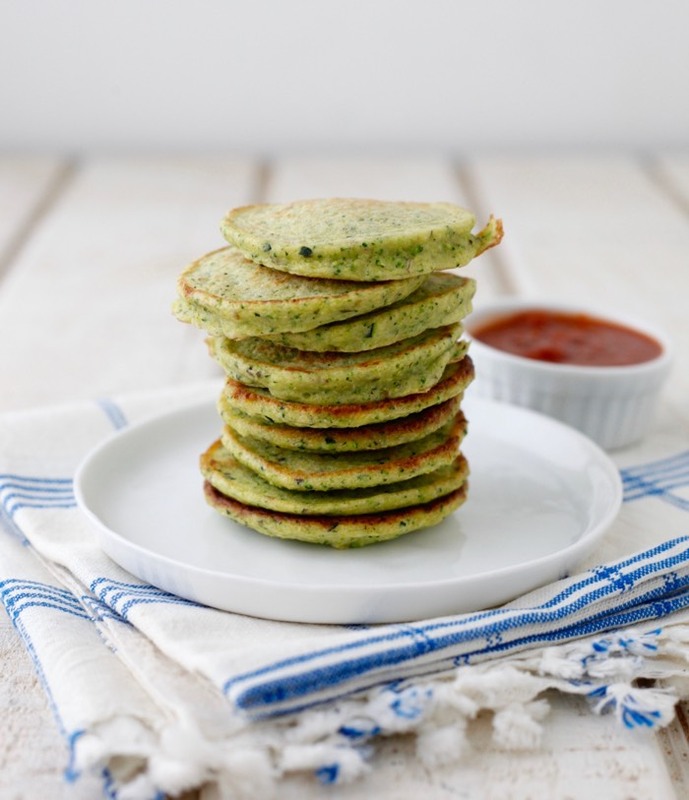 If you want to try a simple recipe that’s just as delicious for adults as it is for toddlers you should watch this Green Veggie Pancakes Video. I generally make these pancakes with spinach, broccoli and/or zucchini, but you can increase your repertoire of what you add to them depending on what vegetables you have in your refrigerator drawer. For kids they make fun protein and vegetable recipe to dip into ketchup or for adults as a tasty side dish to serve with a classic roast chicken. Watch this Green Veggie Pancakes Video to see how quick it becomes to whip a batch up in no time flat!